The Spot is mostly made up futuristic boulders created by Monolithic Sculptures, Inc. 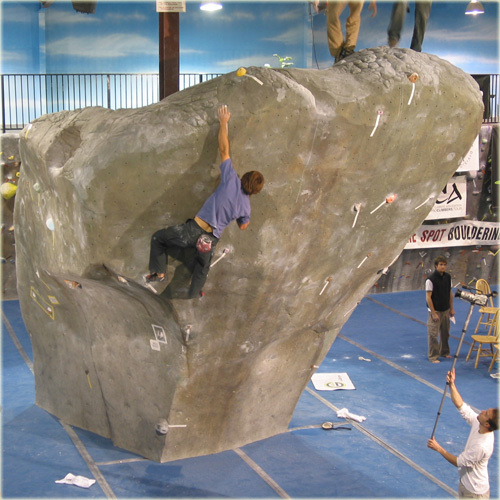 These boulders are made to look and feel a lot more like real rock than the plywood and texture paint more commonly encountered in climbing gyms. Also like real rock, these features are rarely flat–in fact, there are several natural problems carved into the Spot’s boulders. You can learn more about those problems HERE, or by clicking “Natural Problems” at the top of this page. We have had, and still have, many resin holds at the Spot, and many of them have held up more or less fine over the years. However, newer hold materials, especially the various urethane blends that most hold companies now use, are more flexible than resin and therefore do much better on the Spot’s uneven surfaces. Besides flexibility, there are several other upsides to urethane mixes, including nice texture, easy washability, and strength–urethane does not chip when dropped on hard concrete floors (or the asphalt outside when you’re washing ’em) like resin will. The way of urethane was lead by Boulder-based E-Grips, a company started in the mid 90s by climbers and holds shapers Ty Foose and Ian Powell. E-Grips began with polyruethane, and the company’s many experiments with urethane mixes have produced holds with superior strength to weight ratio, texture, and lifespan. 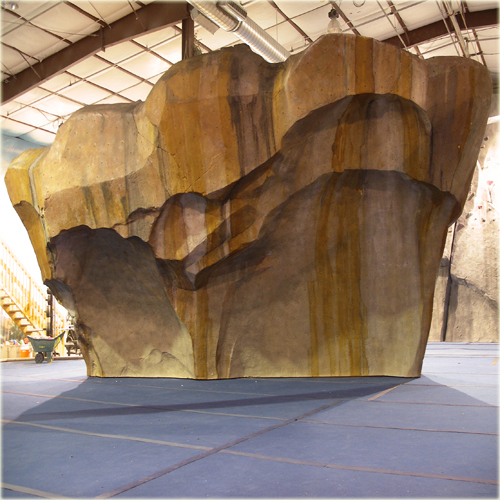 Luckily, as more and more gyms are being built with real rock like features, more and more hold companies are turning to urethane or urethane blends. Now we can get almost any holds we want in some type of urethane, which keeps us setting awesome problems with a minimum of cracked and broken holds. 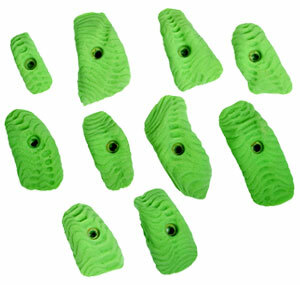 There is one company that I know of in the US that makes real rock holds. Clay, actually, but they hold up and fit well on “real rock like features”. Its really a fantastic company. NU Climbing based out of Madison, WI. It takes training to a whole different level. I make real rock holds. I find river rocks that are smoothed by the water. Use masonry blades in a circular saw to cut a flat side. Then masonry bits for the bolt holes. Easy and infinite customization.